1/7/13 Philips Release LED Compatibility Table Philips have released a new LED compatibility table with full results of dimming performance of their most common LED lamps with the range of Dynalite phase cut dimmers. Download here: If you have any questions please feel free to contact us. 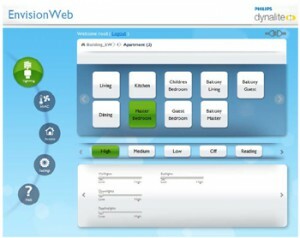 14/3/13 Dynalite Releases Envision Project Software update A new version of Dynalite’s Envision Project Software is now available via our Dealer Access Page, if you don’t have access to this page please contact us to check on availability. 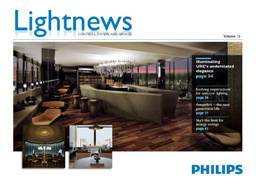 27/11/12 – Philips LightNews Vol 15 Now Available! Philips have just released their latest copy of their LightNews publication, which features some amazing articles on lighting and controls from around the globe. Download your copy here If you have any questions please contact us.